We've recently published two Notices of Proposed Rulemaking (NPRMs) relative to highway safety–one on changes to the Highway Safety Improvement Program (HSIP) (1.usa.gov/O4TTs6) and one on how FHWA proposes to implement the safety performance measures in MAP-21 – Safety PM (1.usa.gov/NRX3zU). Later this year, FHWA will publish an NPRM on the statewide, metropolitan, and non-metropolitan planning regulations that will propose how performance measures will be integrated into the planning process. A second performance-related NPRM will focus on pavement, bridges, and asset management; and a third will focus on congestion, emissions, system performance, freight, and public transportation. In addition, before our Safety NPRMs were published, NHTSA issued an Interim Final Rule (IFR) on changes to its programs. These documents contain a lot of complex information. They are not standalone documents; the NHTSA IFR, the HSIP NPRM, and the Safety PM NPRM are related to each other, and are related to the soon-to-be-released NPRM updating the planning regulations. These documents do not propose incremental tweaks or minor shifts; rather, they update the HSIP and advance the vision of Congress to significantly transform Federal-aid transportation programs. The times, they are a changin'. I strongly encourage you to learn about what is proposed in these NPRMs and submit your comments through the docket. This is your opportunity to engage on an issue that will fundamentally alter our program. For an overview, read the article on the NPRMs on pages 2-3 of this issue. And then, I ask that you take the time to read through the NPRMs and let us know your thoughts – the good, the bad, and the ugly (ok, Ennio Morricone, too). In response to the requirements of the Moving Ahead for Progress in the 21st Century Act (MAP-21), FHWA has published two Notices of Proposed Rulemaking (NPRM) related to the Highway Safety Improvement Program (HSIP). MAP-21 required a number of changes to the HSIP under 23 U.S.C. 148 and included transformative requirements for the Federal-aid highway program by establishing performance-based requirements under 23 U.S.C. 150. The NPRMs propose revisions to the existing HSIP regulation and establish the MAP-21 Performance Management Requirements, as well as the specific safety performance measure requirements to carry out the HSIP. The HSIP and Safety Performance Measures NPRMs are currently available for review and comment at www.regulations.gov. Additional information about each NPRM is provided below. The NPRM to update HSIP requirements was published in the Federal Register on March 28, 2014. This NPRM proposes changes to the HSIP regulations under 23 CFR Part 924 for consistency with MAP-21 and to clarify existing program requirements. The proposed HSIP changes are intended to clarify the regulation for the development, implementation, and evaluation of highway safety improvement programs that are administered in each State. Specifically, the HSIP NPRM proposes to remove reference to existing provisions that were eliminated under MAP-21. These provisions include the High Risk Rural Roads Program, the 10 percent flexibility provision (which limited State spending on non-infrastructure projects to 10 percent of their HSIP apportionment), and the requirement for States to submit a transparency report documenting at least the top 5 percent of their most urgent safety needs. An HSIP report's content and schedule. FHWA proposes States collect a subset of roadway data elements (defined as Model Inventory of Roadway Elements (MIRE) Fundamental Data Elements (FDE)) on all public roads within 5 years of the effective date of the final rule. The proposed MIRE FDE are consistent with the FHWA's State Safety Data Systems Guidance dated December 27, 2012, and are the minimum roadway data elements required to conduct initial network screening on all public roads. FHWA also proposes that States update their SHSPs no later than 5 years from the previously approved version, consistent with current practice and the SHSP Interim Guidance dated April 1, 2013. In addition, FHWA proposes to continue the requirement for States to submit their annual reports by August 31st each year via the online reporting tool. Consistent with the Safety Performance Measures NRPM described below, FHWA further proposes that States also describe their annual safety targets and progress toward achieving those targets in the annual HSIP report. The HSIP NPRM also clarifies that both infrastructure and non-infrastructure projects are eligible for HSIP funds. However, FHWA proposes that States program all other non-infrastructure funds prior to using HSIP funds for that purpose. FHWA also proposes to clarify that non-infrastructure projects must also be included in the Statewide Transportation Improvement Program. Lastly, the HSIP NPRM proposes changes to the HSIP regulations to be consistent with the new MAP-21 transportation performance management requirements proposed under the Safety Performance Measures NPRM, as described below. The NPRM on Safety Performance Measures (Safety PM) was published in the Federal Register on March 11, 2014, and establishes the performance management elements required by MAP-21 (specifically the requirements for the HSIP). The NPRM proposes safety performance measures and State DOT and MPO requirements for establishing and reporting specific annual targets for fatalities and serious injuries for the purposes of carrying out the HSIP. The NPRM defines four measures as the 5-year rolling averages of: (1) the number of fatalities; (2) the number of serious injuries; (3) the rate of fatalities per 100 million vehicle miles traveled; and (4) the rate of serious injuries per 100 million vehicle miles traveled. These measures cover all public roads, regardless of functional classification or ownership. The NPRM requires States to establish annually one statewide target for each measure and provides the option to establish one target for all urbanized areas and one target for all non-urbanized areas in the State for each or any of the measures, allowing for a maximum of 12 targets. MPOs can agree to support the State DOT target or establish a numerical target for each measure specific to the MPO planning area. State DOT targets are evaluated annually for achievement. Targets not achieved are evaluated as to whether or not they made significant progress towards achievement, which is defined as having the actual outcome for the measure falling at or below a 70 percent prediction interval. The prediction interval is based on a linear regression trend line built from data that was available at the time the target was set. In order to be rated as "Overall Made Significant Progress," a State must meet or make significant progress toward achieving at least 50 percent of the targets. If a State has been given the rating "Overall Not Made Significant Progress," then the State must use obligation authority equal to the prior year only for safety projects and develop an annual implementation plan to take corrective actions until overall significant progress is achieved. USDOT anticipates publishing an additional related NPRM – to update the statewide, metropolitan, and non-metropolitan planning regulations – later this spring. Further, a second set of performance management-related NPRMs focusing on pavement, bridges, and asset management will be issued this summer, and a third set focusing on congestion, emissions, system performance, freight, and public transportation will be issued later this year. FHWA encourages all interested parties to review the NPRMs in their entirety to clearly understand the proposals. There are specific requests for comments in each NPRM. All public comments on the NPRMs should be submitted to the Docket at www.regulations.gov. Pedestrian Focus Area to become Pedestrian/Bicycle Focus Area. In this important focus area, the pedestrian has been joined by persons using motorized or human-powered devices that would also typically use pedestrian facilities, such as wheelchairs, scooters, or skates. In addition, interest in promoting wellness and decreasing emissions has increased the number of bicyclists and the frequency of these trip types. Therefore, FHWA has chosen to include bicyclists and other cyclists within this focus area. 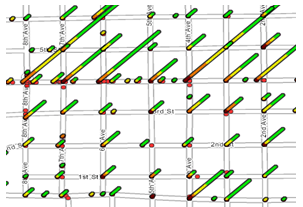 Intersection Crashes to expand to include previously excluded types of intersections. 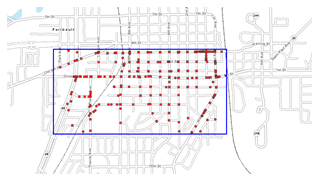 Many intersection crashes that occurred at or were related to intersections within interchange areas and at driveways and alleys were previously not included in the intersection crash count. 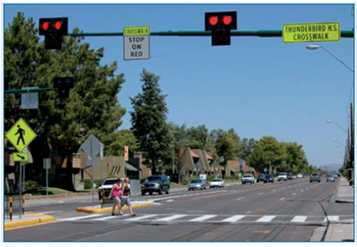 Since these locations involve the same crossing or angle, turning, and rear-end conflicts present at other intersections, and similar countermeasures are often appropriate, the intersection focus criteria have been expanded to present a more complete picture on intersection safety. Roadway Departure Crashes will no longer specifically exclude intersections. Only a minor change was recommended for counting roadway departure fatalities, since the coding criteria for this focus area underwent significant changes in 2009. It was deemed that roadway departures occurring within or related to intersections need to be included to present the complete picture. During the review process, questions were raised regarding how many fatalities involved more than one of the focus areas and whether there were other focus areas that should be considered. To examine this, the team called upon the data expertise of Dr. Ana Maria Eigen, who was able to develop the following chart showing how each focus area fits into the larger traffic fatality picture and where they overlap. The Office of Safety hopes to develop similar charts for each State that will be available with the next update to the Safety Dashboard, located at http://rspcb.safety.fhwa.dot.gov/SafetyCOP.aspx. No other single crash type considered seemed to indicate a need for a new focus area. An interesting finding from the development of the mutually exclusive pie chart was that there are a surprising number of fatalities that involve more than one of the focus areas, and the majority of the overlap occurs with intersections. Now that we are more aware of these multi-faceted crash types, we have the opportunity to analyze them and consider new solutions. Interested in learning more? A technical summary of the revisions, written by Dr. Ana Maria Eigen and Cathy Satterfield, is in the process of publication through the Office of Safety R&D. Program office staff for each of the Focus Areas (http://safety.fhwa.dot.gov/about/contactinfo.cfm) are additional sources of information. Illustration of a pedestrian hybrid beacon at a mid-block crossing. In addition to eight other countermeasures designed to improve intersection, pedestrian, and roadway departure crashes, the FHWA strongly encourages the use of pedestrian hybrid beacons (PHB). These beacons (also known as High intensity Activated crosswalks,or HAWKs) are pedestrian-activated warning devices located on the roadside or on mast arms over midblock pedestrian crossings. The pedestrian hybrid beacon head remains dark until the pedestrian desires to cross the street. When the pedestrian pushes an easy-to-reach button, the beacon activates. After displaying brief flashing and steady yellow intervals, the device displays a steady red indication to drivers and a "WALK" indication to pedestrians, allowing them to cross a major roadway while traffic is stopped. After the pedestrian phase ends, the "WALK" indication changes to a flashing orange hand to notify pedestrians that their clearance time is ending. The hybrid beacon displays alternating flashing red lights to drivers while pedestrians finish their crossings before once again going dark at the conclusion of the cycle. FHWA is pleased to announce that a series of informational videos about four alternative intersection designs are completed and posted to the FHWA YouTube channel. Each video runs approximately 7 minutes in length and provides basic information about the safety and operational benefits of each intersection. Experts from around the country provide informative commentary, and high-quality footage from locations throughout the United States is used to illustrate the concepts. The Illinois Department of Transportation (IDOT) was recently honored at the 100th Illinois Transportation and Highway Engineering Conference with the "High Impact Project" award for its efforts on Wrong-Way Driving (WWD). More information about the award and the project can be found on the Illinois Center for Transportation website at http://ict.illinois.edu/index.aspx. These efforts include developing the report "Investigation of Contributing Factors Regarding Wrong-Way Driving on Freeways"; sponsoring the National Wrong-Way Driving Summit, held in July 2013 at Southern Illinois University at Edwardsville (SIUE), as well as issuing the summit's proceedings; and publishing a new national WWD resource entitled "Guidelines for Reducing Wrong-Way Crashes on Freeways." The project panel chairs were Priscilla Tobias (IDOT) and Rich Coakley (CH2MHill), and the Principal Investigators were Dr. Hugo Zhou (Auburn University), Dr. Ryan Fries (SIUE) and Brent Vaughn (SIUE). The FHWA Office of Safety is developing a Strategic Highway Safety Plan (SHSP) Community of Practice (COP). The SHSP COP will be an online forum for SHSP practitioners and stakeholders who represent the 4 E's of safety (engineering, enforcement, education, and emergency services/response) to interact with peers on SHSP-related issues and learn about the latest SHSP resources, noteworthy practices and events. A community of practice (COP) is a group of people who share a common concern, practice, or "domain of interest" and learn how to be more effective in this domain as they interact regularly. In this case, the domain of interest is the SHSP. A community of practice is not merely a community of interest—people who like certain kinds of movies, for instance. Members of a COP are practitioners. They develop a shared repertoire of resources, including experiences, stories, tools, and ways of addressing recurring problems; in short, a shared practice. In a COP, members value their collective competence and learn from each other. In pursuing their interest in their domain, members engage in joint activities and discussions, help each other, and share information. The SHSP COP will centralize and disseminate information for States about the range of roadway safety practices and strategies being implemented across the Nation through SHSPs as well as provide the opportunity for SHSP practitioners to interact with their peers on SHSP issues. Information and resources will be available from FHWA, a variety of Federal and State agencies, and other safety partners. If you participate in your State's SHSP development and implementation, or would like to, this forum will be for you. So we'd like to know what would make the COP the most useful and informative for you. Please share your ideas for content, featured topics and discussions, partner resources, SHSP-related events and anything else you think would be helpful to you and your SHSP peers. We'll do our best to build your suggestions into the COP. To share your ideas or for more information, please contact: Jennifer Warren, FHWA Office of Safety, Jennifer.warren@dot.gov, 202-366-2157. The new highway authorization, MAP-21, provides FHWA with the flexibility to structure a comprehensive Research and Technology (R&T) program that aligns with highway transportation needs. In a substantial change from the SAFETEA-LU authorization, the FHWA's R&T portfolio now has greater ability be responsive to stakeholder needs under MAP-21. FHWA conducts R&T on highway problems of national scope and importance. The newly released FHWA R&T Agenda website is designed to improve understanding of FHWA's R&T priorities among stakeholders and to increase stakeholder input and collaboration. Michael Trentacoste, Associate Administrator for Research, Development, and Technology, noted, "We see the FHWA R&T Agenda and website as a critical elements in our efforts to make the FHWA R&T program more transparent and receptive to the needs of our states and other stakeholders." The FHWA R&T Program is based on objectives and strategies defined by the offices that oversee FHWA's major disciplines or topic areas. Offices accomplish their objectives through innovative strategies that guide research planning on high-priority topics. Activities or projects follow from the objectives and strategies. For example, one Safety R&D Office Objective—support the systematic planning, management and evaluation of roadway safety—employs several strategies including "develop and deploy tools, processes and guidance to support evidence-based safety decision-making. " The Roadway Data Improvement Program is an activity designed to support and achieve that objective. The new R&T website, located at https://www.fhwa.dot.gov/research/fhwaresearch/agenda/, depicts each office's objectives and strategies and showcases examples of activities that illustrate how the R&T Agenda stimulates new practices and policies that will result in safer, more efficient, and more sustainable roadways across the United States. The new website is designed to tell the FHWA R&T story—what we do and why we are doing it. It does this by providing a high-level overview of and context for FHWA R&T, featuring the cross-cutting work of our research and program offices, improving accessibility of the FHWA R&T portfolio to stakeholders, and providing a web-based mechanism for stakeholder input. The second presents information by traditional discipline or topic areas: Infrastructure, Operations, Safety, Policy, Planning & Environment, Federal Lands, Exploratory Advanced Research (EAR), and Innovative Program Delivery (IPD). The web page also describes how each office's strategic objectives drive that office's R&T portfolios. 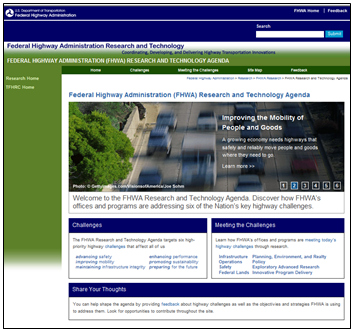 The website shows visitors how the FHWA offices accomplish their objectives through innovative strategies that guide research planning on high-priority topics. The website also features specific showcase activities and projects that follow from these objectives and strategies. These showcase activities illustrate how the R&T Agenda stimulates new technologies, practices and policies, resulting in safer, more efficient, and more sustainable roadways across the United States. The FHWA and 18 volunteer States have pioneered a study to use crash data to measure pavement safety performance. This study developed crash modification factors and benefit/cost ratios for nine different pavement treatments to examine their potential in reducing the frequency and severity of lane departure crashes. This study may open a new chapter in pavement design by including highway safety factors, highway safety evaluations, and pavement effects on road safety. At FHWA's Turner-Fairbank Highway Research Center (TFHRC), the Offices of Safety R&D and Infrastructure R&D joined efforts and resources to initiate the Pavement Safety Performance (PSP) study in 2011. This study was deemed to be a high- priority safety research need by the Technical Advisory Committee (TAC) members of the Evaluation of Low-Cost Safety Improvements Pooled Fund Study (ELCSI-PFS). Currently, there are 35 member States in this PFS. The PSP study was initiated to shed more light on the effect of the pavement surface itself on safety and to show that different low- or no-incremental-cost pavement surface treatments have different safety performances. This work builds on knowledge garnered from previous efforts and seeks a better understanding of the effects that various common pavement treatments have on roadway safety. This study represents a first-of-its-kind evaluation of the effects of various low-cost pavement treatments on roadway safety. While the results did not reveal that one particular treatment is substantially better than another, it did reveal some potential differences in benefit for the treatments, particularly when cost is considered through the benefit-cost analysis. In the end, virtually all of the treatments provided benefit for wet-road crashes on all road types, with the exception of thin HMA overlays on two-lane roads. A construction crew conducts paving operations on a roadway. Photo courtesy of Transtec, Inc. 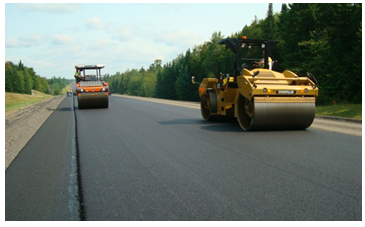 Double drum steel wheel vibratory roller machines smooth a newly paved roadway. Photo courtesy of Transtec, Inc. These treatments are commonly used by states throughout the U.S. However some, such as OGFC, are not commonly used in cold-weather climates where they may not perform well under freeze-thaw cycles. For above pavements, this study developed reliable Crash Modification Factors (CMF), which are quantitative estimates of effectiveness in reducing crashes for safety countermeasures. Thin HMA Overlay: Benefit for wet road crashes on multilane roads and freeways, but a disbenefit for both wet and dry road crashes on two-lane roads. Chip Seal: Significant benefit for wet road crashes on multilane roads, and small benefit for wet and dry road crashes on two-lane roads, but a disbenefit for dry-road crashes for multilane roads. Microsurfacing: Benefit for wet road crashes on two-lane and multilane roads, but a disbenefit for dry road crashes on two-lane roads. Slurry Seal: Benefit for wet road crashes on two-lane roads. UTBWC: Benefit for wet road crashes on freeways and wet and dry road crashes on two-lane roads. Diamond Grinding: Benefit for wet and dry road crashes on freeways. It is important to keep in mind that these treatments are not necessarily interchangeable from a pavement standpoint. 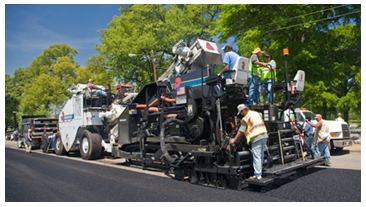 Different treatments may be better suited for different climates, traffic levels, and underlying pavement types. High friction surfacing does provide substantial safety benefit, even when weighed against the higher cost of the treatment. However, this study does not purport to endorse such a treatment for all circumstances. Use should be focused on applications where the benefits are most clear–on ramps and curves–until subsequent studies can be conducted to evaluate the benefit for other applications. To read more about the study and to learn about the crash modification factors and benefit/cost ratios identified for nine different pavement treatments, please visit https://www.fhwa.dot.gov/research/tfhrc/projects/safety/comprehensive/elcsi/. FHWA is pleased to introduce two new resources for State and local agencies that are implementing the Highway Safety Manual (HSM). These safety performance function (SPF) guides are the product of the ongoing Transportation Pooled Fund study TPF-5 (255) and were prepared by the University of North Carolina Highway Safety Research Center. Both are designed to be used by State and local agency practitioners and researchers. The Minnesota Crash Mapping Analysis Tool (MnCMAT) is an online application to help traffic safety professionals easily map and analyze crash data. The idea for the MnCMAT tool was brought about by members of the Minnesota County Engineers Association (MCEA) after they were shown a demonstration several years ago of a crash mapping tool that was developed for the Iowa DOT. After seeing the usefulness that the application displayed, Federal research money with a match from the MnDOT State Aid for Local Transportation (SALT) office was used to create a more versatile web-based version of the tool. This version included several additional features such as aerial images, multiple intersection selection, and list rankings. Acceptance testing for the new application was performed by users from all 4 E's (Engineering, Enforcement, Education, and Emergency Services) in order to generate a product that is user friendly for all traffic safety professionals. The application contains data on the reported crashes on all public roads within the State for the last 10 years plus the current year. Crash data within the application is updated four times per year. The MnCMAT application has been a valuable tool for various projects that have been completed throughout the State such as the Minnesota County Roadway Safety Plans. These plans were created to identify a specific set of low-cost systematic safety projects that are linked directly to the causation factors associated with the most severe crashes on the county's system of highways. Federal HSIP dollars, as well as other funding sources, have recently been used to implement several of the projects identified in the plans. All users must request access to the application through SALT's MnCMAT website listed below. Users must have approval from their sponsoring City or County Engineer before access is granted to them. Currently there are nearly 500 MnCMAT users throughout the State. 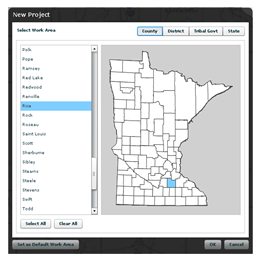 To operate the system, the user first selects the desired work area by county, MnDOT district, tribal government, or the entire State through the screen shown in Figure 1. The application then displays a map of the selected work area. The user can then display all crashes or select crashes within the selected area. The area could be a city, intersection, or any rectangle, polygon, circle, or road segment(s) determined by the user. Figure 2 shows an example of crash selection within a user-specified rectangle. The application can also filter for types of crashes, produce a stacked display of crashes for areas with multiple crashes at one specific location (Figure 3), and create other outputs such as data exports, reports, and charts of the selected crash data. The FHWA Development of Crash Modification Factors (DCMF) Program was established in 2012 to address highway safety research needs for evaluating new and innovative safety strategies (improvements) by developing reliable quantitative estimates of their effectiveness in reducing crashes. The ultimate goal of the DCMF Program is to save lives by identifying new safety strategies that effectively reduce crashes and promoting them for nationwide installations. This program provides measures of safety effectiveness or Crash Modification Factors (CMFs) and benefit-to-cost ratios (B/C) for high-priority safety countermeasures through research. State departments of transportation (DOT) and other transportation agencies need to have objective measures for safety effectiveness and B/C ratios before investing in new strategies for statewide safety improvements. Statistical methodologies are heavily used for all safety improvement evaluations performed under the DCMF Program. The secondary goal of DCMF Program is to advance highway safety and related research by establishing a sound foundation for developing highway transportation-specific statistical methodologies in cooperation with the American Statistical Association (ASA) and other statistical communities. Nearly all methodologies used in safety analysis have been borrowed from various statistical fields and have limitations in capability and applicability for use in highway safety research. There are 38 State DOTs that provide technical feedback for safety research to the DCMF Program and help to build new safety improvements for DCMF evaluations. These States are members of the Evaluation of Low Cost Safety Improvements Pooled Fund Study (ELCSI-PFS) that functions under the DCMF program. Transportation safety has been an important part of the highway planning and engineering profession for decades, but it was not until publication of the Highway Safety Manual (HSM) in 2010 that engineers had a widely available, formal approach to safety analysis. Users of the HSM have been tasked with cost-effectively improving the safety of the Nation's roadways. However, the current analysis tools rely primarily on observational studies, meaning that data are collected retrospectively by observing the performance of an existing road system where the treatment has already been implemented. Usually this observation is not made on the basis of a planned experiment; rather, it relies on engineering considerations, including safety. These types of studies suffer from several key issues, including regression-to-the-mean bias, changes in traffic volume, variation in crash time trends in CMF estimation, correlation between predictor variables in estimating CMFs, and other statistical anomalies. To address transportation safety professionals' needs and concerns about the current state of the practice for conducting statistical analyses, a project was initiated that recently convened a Technical Experts Meeting on Advancing Highway Safety Improvement Methodologies. This meeting involved highway safety researchers and an invited group of professional statisticians representing fields such as epidemiology and biostatistics. The goal was to explore how applying new and advanced statistical methodologies could improve highway safety research involved with developing CMFs. The technical experts met December 11-12, 2013, at the National Institute of Statistical Sciences in Research Triangle Park, North Carolina. The Technical Experts Meeting explored current statistical analysis tools used in highway research, and the invited statisticians made presentations about how methodologies they use can improve transportation research. The statistical experts recommended various technical approaches that may be used in high-level research to improve CMF estimation for safety improvement evaluations. The project team developed a white paper (https://www.fhwa.dot.gov/research/tfhrc/projects/safety/comprehensive/dcmf/) to disseminate and promote the pursuit of these approaches in highway safety research. The meeting fostered a natural alliance between the transportation safety research community and the statistics profession. Adopting the use of more advanced statistical analysis methodologies to develop SPFs and CMFs offers transportation agencies the opportunity to improve their safety improvement decision-making and identify more cost-effective improvements. FHWA will extend this alliance and improve safety outcomes by establishing a Technical Working Group to build on the Technical Experts Meeting results and to guide the effort and build the relationship to make the collaboration between safety research and statistics effective. This white paper is the first brick in the foundation for future highway transportation-specific statistical methodologies and creating a new statistical field customized for highway transportation research and operation. 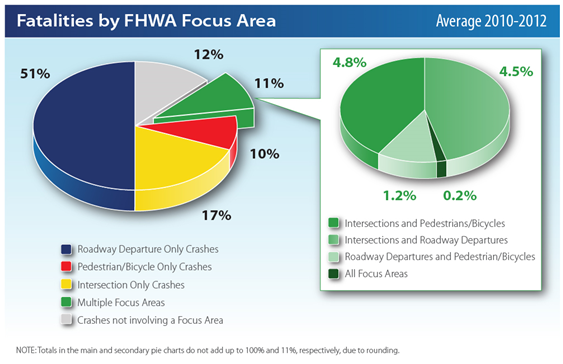 To read more about the DCMF study and to learn about emerging statistical methodologies for highway safety evaluation research, please visit: https://www.fhwa.dot.gov/research/tfhrc/projects/safety/comprehensive/dcmf/. FHWA Launches Highway Safety and EMS Connection Website! The Tech Transfer Toolbox contains a series of videos that step the viewer through the process of performing a curve speed study using a digital BBI. The videos were created by Ohio Department of Transportation (ODOT) Safety Engineer, Jennifer Jenkins, P.E., and Raymond Brushart, Safety Circuit Rider for the Ohio LTAP program. Within the toolbox are downloadable copies of the actual forms used in the videos and blank forms that the viewer can use to perform their own curve speed study. The toolbox also provides all of the charts referenced in the videos. 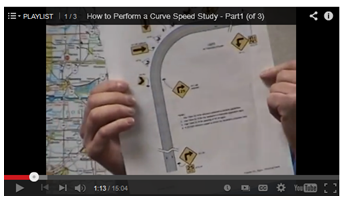 By watching the videos, downloading the forms, and following the steps, an Ohio LPA has all of the information needed to conduct its own curve speed study. To support the Tech Transfer Toolbox, the FHWA Ohio Division Office assisted and supported the Ohio LTAP Center in receiving a Technology Transfer grant to purchase five additional digital BBIs for the Center's equipment loan program. These BBIs are an integral part of the Tech Transfer Toolbox's success because they give an LPA access to the right equipment to perform the curve speed study. Information on how to request a BBI loan is included in the Tech Transfer Toolbox. As a result of this cooperative effort among ODOT, the Ohio LTAP Center, and the FHWA Ohio Division Office, Ohio LPAs now have a one-stop shop with all of the tools needed to perform a curve speed study. Using the information from these studies, Ohio LPAs can ensure their roadway curves are properly signed to improve roadway safety and keep driving Ohio's crash rates towards zero deaths. The Accelerating Safety Activities Program (ASAP) is designed to help Safety Focus States promote the advancement of safety efforts with special emphasis on the areas of pedestrian, intersection, and roadway departure. The FHWA's Office of Safety and Office of Technical Services reviewed and evaluated applications for the program and awarded the Kentucky Local Technical Assistance Program (LTAP) funds to launch a Traffic and Safety Academy. Luke Mantle, Road Supervisor with the Campbell County Road Department, tests a sign using the retroreflectometer. The Traffic and Safety Academy is designed to teach participants the FHWA's nine proven safety countermeasures as well as how to address traffic and safety issues. The Academy is built on the knowledge learned through the Roads Scholar and Road Master Training Programs, administered by the FHWA LTAP program. These programs offer local and state governments training in road-related technologies, innovations, and safety protection for themselves and the traveling public. The series is designed to offer continuing education on maintaining local roads and streets. The Academy offered more hands-on instruction and a higher level of learning. Training was offered two days a month for two months, on October 29 – 30 and November 18 – 19, 2013. Attendees were not required to attend all four days, and some chose to attend on days that pertained most to their job functions. In total, 25 individuals attended this intensive training, with 19 attending all four days. Topics the first day included low-cost safety improvements for rural roads; road safety audits; and safety countermeasures for roadways, such as rumble strips/stripes, roundabouts, reflective backplates, corridor access management, and road diets. 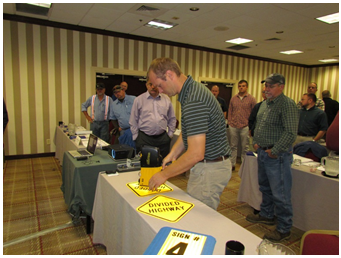 Day two topics included horizontal curve alignment, guardrail installation, and asset management for roadways. During the horizontal curve alignment discussion, participants were able to see and try out a ball bank indicator, which is available to check out through the LTAP's Equipment Loan Program. Ryan Tenges, a Safety Engineer from the FHWA KY Division, spoke on the Safety EdgeTM and High Friction Surface Treatments. He also gave a quick demonstration on the Shoulder Wedge Maker (Safety Edge Shoe), which is available for check out through the LTAP's Equipment Loan Program. The third day was packed with more classroom discussion and activities. Topics included sign retroreflectivity, systemic safety, GIS mapping, an overview of average daily traffic, highway safety manual implementations, and examining crash data. Participants were able to test a sign's retroreflectivity using a retroreflectometer. In addition, participants broke into groups and practiced finding their local data and analyzing crash data. The topics for the last day included risk management and depositions, pedestrian and bicycle safety, the Highway Safety Improvement Plan, and the Strategic Highway Safety Plan. One activity allowed participants to review a scenario and actual deposition questions from a case study. This exercise demonstrated the importance of documenting everything on a project. "It's all very beneficial information and helps in my job," said Doug Boom, City of Henderson. He said it was good to get a refresher and to take the training a step further. The Roadway Safety Foundation (RSF) recently published the 2014 Roadway Safety Guide: A Primer for Community Leaders. This guide is designed to provide community leaders and local elected officials with basic information to improve roadway safety in their communities. Originally published by RSF in 2000, this updated 2014 version includes information on new technologies and engineering treatments, such as modern roundabouts and median barriers, that have been revised with years of safety research and data now supporting their implementation. "The guide is extremely timely right now as States across the country are currently in the process of updating their Strategic Highway Safety Plans (SHSPs)," said Greg Cohen, Executive Director of the Roadway Safety Foundation. "The SHSP is developed by each State department of transportation in a cooperative process with local, State, Federal, tribal and private sector safety stakeholders. It is a data-driven, multi-year comprehensive plan that establishes statewide goals, objectives, and key emphasis areas. We know the guide will be very valuable to those in the process of updating these safety plans." The guide includes helpful information such as checklists for identifying roadway trouble spots, information on building successful coalitions, and tips on getting concerns prioritized by the people who are right to address them. Written for non-engineers, it draws people from all backgrounds into the roadway safety conversation. For additional information on RSF or to access this new guide, please visit www.roadwaysafety.org. Traffic incidents, including crashes, disabled vehicles and road debris, create unsafe driving conditions for motorists and responders and account for approximately 25 percent of all traffic delays. Traffic Incident Management is a planned and coordinated program process to detect, respond to, and remove traffic incidents and restore traffic capacity as safely and quickly as possible. To address the challenge of responding safely to incidents, eight Kentucky Transportation Cabinet (KYTC) employees were recently certified as National Traffic Incident Management (TIM) Responder course instructors. This "train the trainer" course, developed through the FHWA's SHRP 2 Traffic Incident Management Responder Training Program, is designed to create instructors who are able to teach responders how to conduct an incident response effort in a way that protects both motorists and responders while minimizing the impact on traffic flow. As of March 2, more than 800 responders have been trained through the SHRP-2 program, 350 of them from the KYTC. The courses are specially designed for local law enforcement, fire and rescue, emergency management and towing personnel. Come join your colleagues from the FHWA Office of Safety at the 2014 National LTAP/TTAP Conference in St. Louis, Missouri, from July 20-24! We will be exhibiting in the expo hall, where you can learn about the latest offerings from the Office of Safety and meet our staff! Can't make it to St. Louis? No worries! We will also have tables at the ITE 2014 Annual Meeting in Seattle, Washington, from August 10-13 and at the 2014 Governors Highway Safety Association Annual Meeting in Grand Rapids, Michigan, September 6-10. We hope to see you at one or more of these events! 2014 National LTAP/TTAP Conference, July 21-24, 2014, St. Louis, MO (tinyurl.com/k4nx26b). Highlights for the 33rd annual conference include safety circuit rider programs; bridge issues for local governments; technical, grant, and proposal writing; advisory boards; best practices, and much more. ITE 2014 Annual Meeting , August 10-13, 2014, Seattle, WA (tinyurl.com/lvrl6vp). Join your colleagues to participate in discussions and learn about topics such as bicycle traffic signs and signals, mainstreaming alternative intersections, roundabout public meetings, transportation advocacy and outreach, and balancing design and safety. 2014 Governors Highway Safety Association Annual Meeting, September 6-10, 2014, Grand Rapids, MI (tinyurl.com/luc9wh9). GHSA's 2014 Annual Meeting will explore highway safety after MAP-21—from congressional legislation to technology to new approaches and programs. Breakout workshops topics include: teen safety, older driver safety, drugged driving, motorcycle safety and other important highway issues. OSIT2014: Occupational Safety in Transport Conference, September 18-19, 2014, Queensland, Australia (ositconference.com). This conference will feature representatives from road and transportation safety, aviation and watercraft, fleets, safety culture and management, construction safety, and associated fields. Themes will cover topics including transportation safety culture and management; technology for the improvement of safety, systems, and behavior; transportation-related impairments and return-to-work assessment processes; industry logistics and transportation safety risk; developing and evaluating safety programs; and transportation safety innovations, challenges, and opportunities.